But I can never be in your shoes. and all I can do is pray and hope that you will get better soon. Days toward Valentine’s, a lot of things just started to happen to me. I have been telling my friends regarding recent events and it was just weirdly coincidental. They kept telling (as a joke), “Valentine’s kasi (It’s because of Valentine’s)”. We just laugh about it. But really, there’s something weird about this year’s Valentine’s Day. At least for me and a friend of mine. It is the date season isn’t? And it’s that day when people’s romantic status are emphasized, celebrated or whatever it is that people do during Valentine’s. Yes, that is a black heart. Coincidentally, the only origami that I know is a heart. This is made from the label of a liquor. It’s got a lot of folds and layers. It’s has different imprints that are not easily seen. It’s compact and seemingly small. It reveals different things when it unfolds itself. When unfolded, it is just a rectangle, a very simple rectangle. This is a cute date dress huh? I got this from a friend. She wore this during their (her and her hubby) first year anniversary. With a little sewing here and there, it fit me! I like it. It’s sultry and sophisticated at the same time. Just enough for a dinner date. Happy Valentine’s Day, my loves! Let’s all celebrate! Taken or not, dating or not, recently taken or recently single, whatever that status is, celebrate! Valentine’s Day is not exclusive for couples. Haha! 😛 Everyone’s got a heart, right? Sorry for the lack of updates. I have been very, very busy. 😦 *sigh* Oh well, got new shoezies! 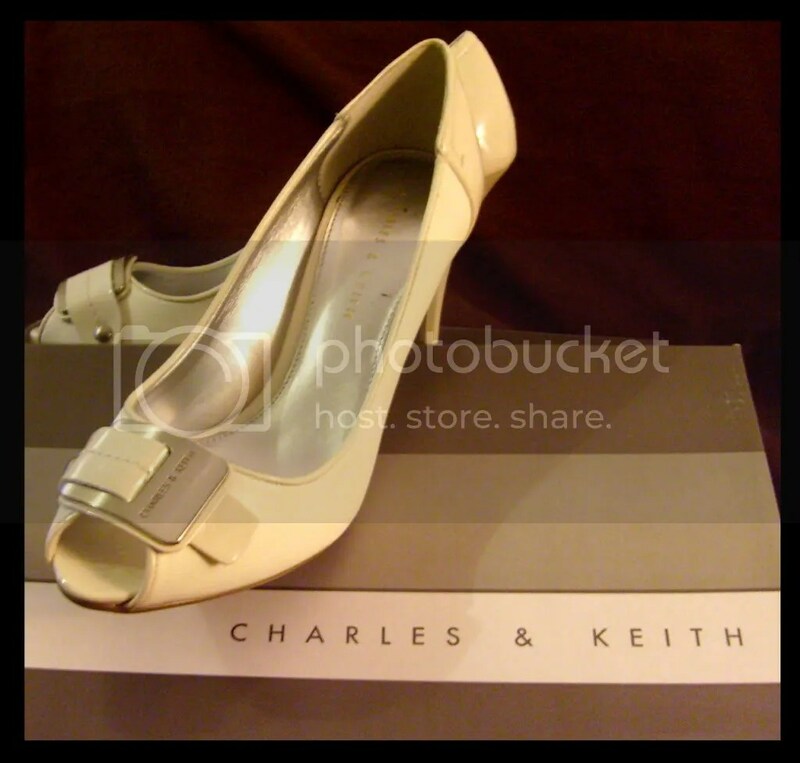 And YES, after my fling with VNC, which produced 9 pairs of shoes, it was Charles and Keith that saved me from a very important meeting. It was stormy and I didn’t want any of my shoes to get soaked so I decided to wear slippers. 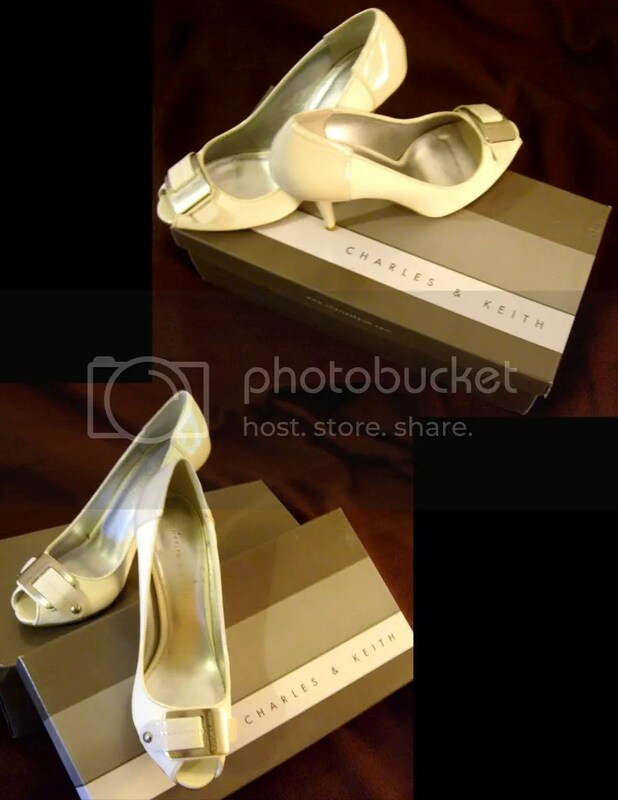 And yet, I NEEDED a pair of heels! What’s a girl to do? BUY ONE! I got drenched and rummaged through the mall (as I only had around 45 minutes to search for a pair). I went to all the usual brands- Cinderella, Dept. 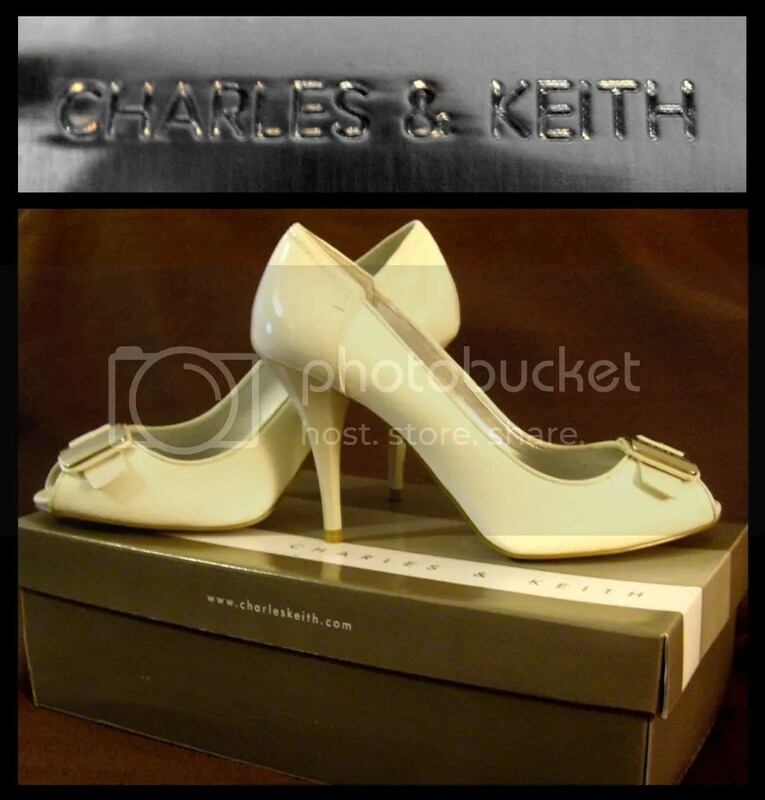 Stores, Mendrez, VNC, Le Donne, Celine, CMG, Aldo and yet, when it counted, it was still Charles and Keith which gave me a pair worth buying. Isn’t it just adorable? 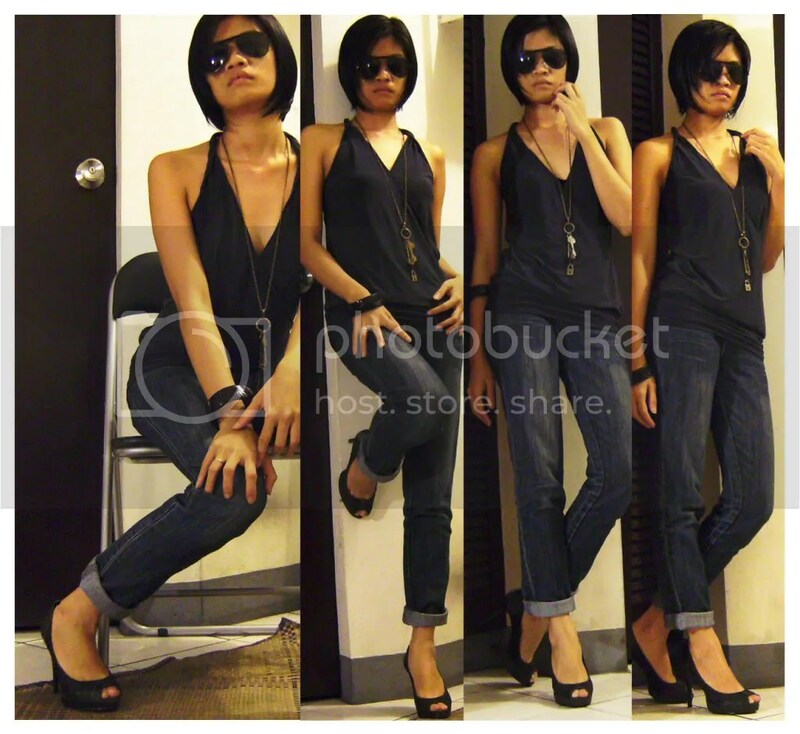 I love the buckle, the color, the heels and everything about it. There are rare moments when you find yourself not doing anything at all. During these rare moments, you find yourself with options: do i sleep? pick up on an old project? or just sit and stare? I chose the staring part. It’s weird. When it’s all quiet and you have nothing to worry about and you pause. Then thoughts come in your head and you start to think of things–things that you never had the time to dwell on. Is there such a thing as going back? Tsk. Tsk. Idle time is bad. It makes you think of things that you normally wouldn’t think of. Hehe.